Please sign into your Auction 4 Cars account here. Auction 4 Cars was launched in October 2008 by the UK’s leading car supermarket Motorpoint, offering Motorpoint part exchange vehicles to the Trade. Our Trade Only website was an instant success and now sells over 30,000 part exchanges every year! Before vehicles are offered for online auction our trade team appraise, photograph and HPI every part exchange to ensure the vehicle description is as accurate as possible so that our trade partners can bid and buy with confidence. 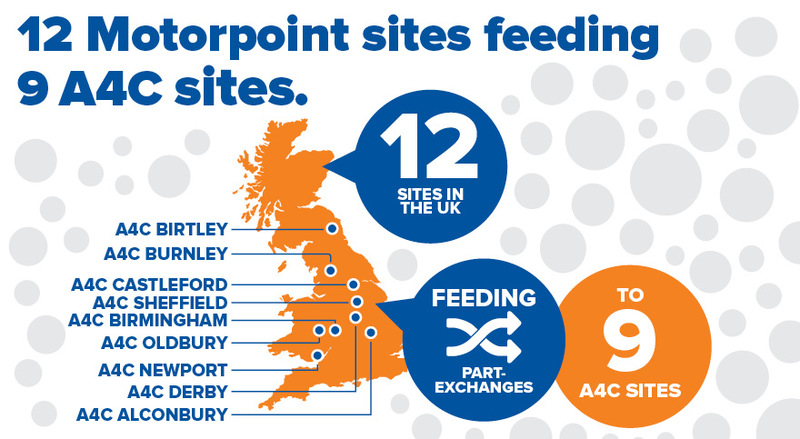 Initially launched in Derby, it wasn't long before we opened more Auction 4 Cars sites and we now operate in Derby, Burnley, Newport, Alconbury, Birmingham, Birtley, Castleford, Sheffield and Oldbury where part exchanges from Motorpoint’s 12 sites are distributed. 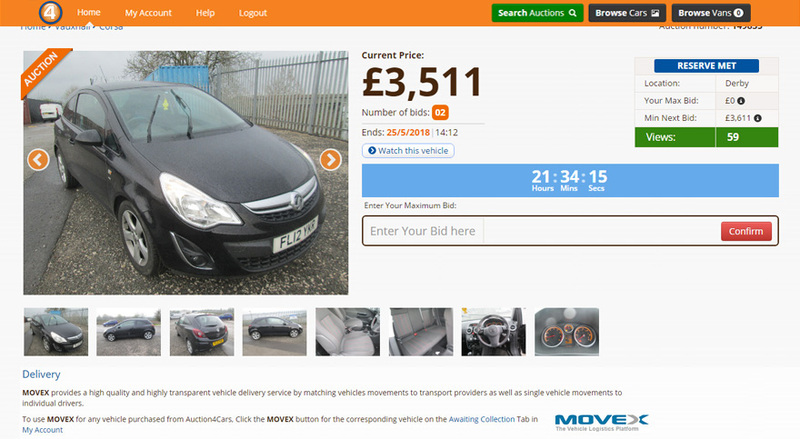 Auction4Cars.com was launched in October 2008 by the UK’s leading car supermarket Motorpoint. All Motorpoint part exchange cars are auctioned on the website to the Trade. We sell on average 700 cars a week to the trade. 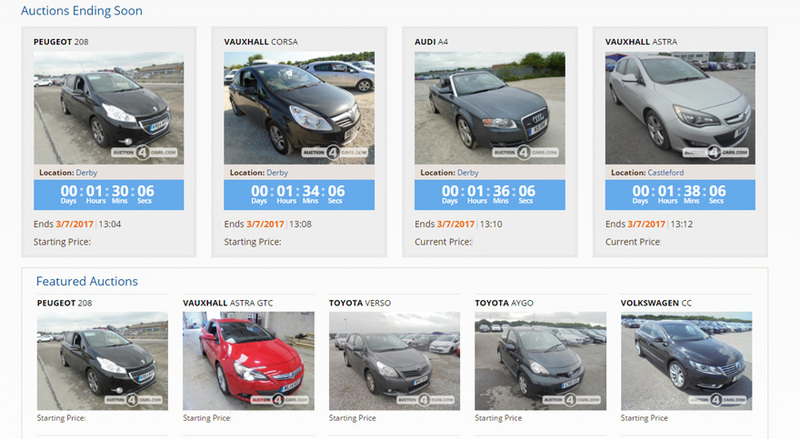 Our Auction4Cars trade team appraise, photograph and HPI each car to ensure the description is as accurate as possible, so that our trade customers can bid and buy with absolute confidence. Copyright © 2013 - 2019 Auction4cars. All Rights Reserved. No part of this web page may be reproduced in any way, or by any means, without the prior written permission of Auction4cars.